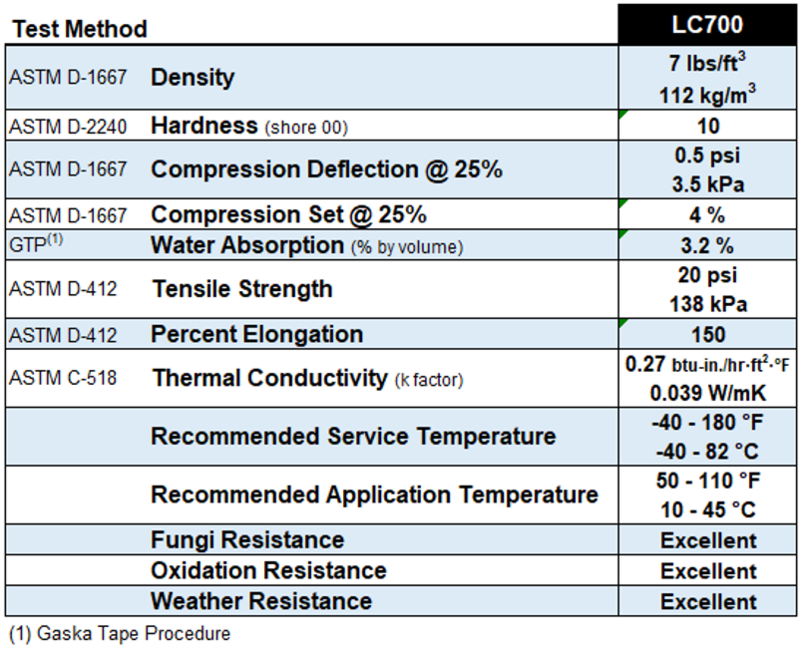 LC700 Series – Gaska Tape Inc.
LC Series products are excellent alternatives to low permeability urethane where long product life is critical. This foam is excellent for use in applications requiring a low force to compress. Gaska Tape’s LC700 Series is specially formulated, soft, closed-cell Polyvinyl Chloride foam that can be produced with or without adhesive on one side as well as a permanent cast on polyester film to the opposite side. Conforms to irregular surfaces and curves. Alternative to low perm urethane where longer product life is necessary. High-tack (A3) adhesive has a wide service temperature range. LC710 is cast on a 7 mil clay coated paper. LC715 is cast on a 2 mil polyester film to provide dimensional stability, and is a self-wound product.